This is a simple meal and very famous in Thai food lunch stalls. As you might know many Thai foods contain chilli, and this dish being much milder explains why it is loved by kids and adults less enthusiastic about chilli. • Add the oil in a wok then add garlic. Fry the garlic for a few minutes. 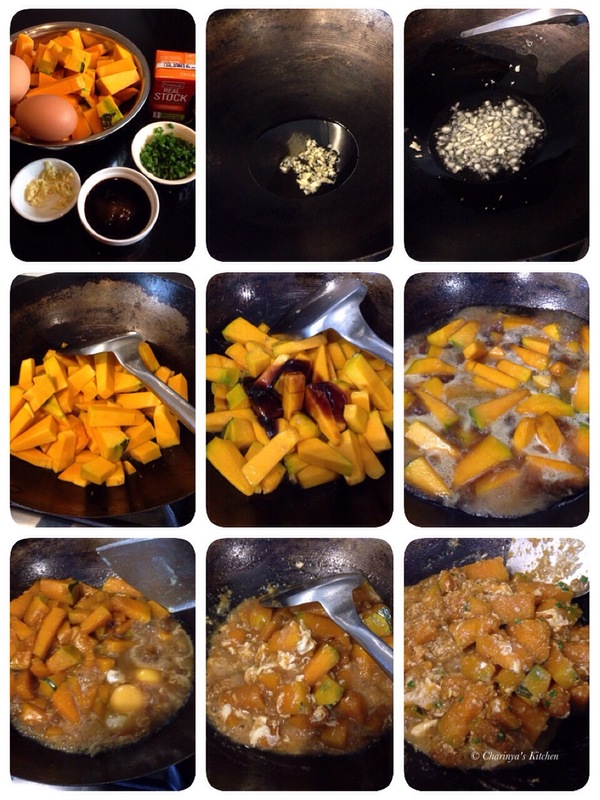 • Add pumpkin to the wok and stir though. • Add oyster sauce, soy sauce and sugar. 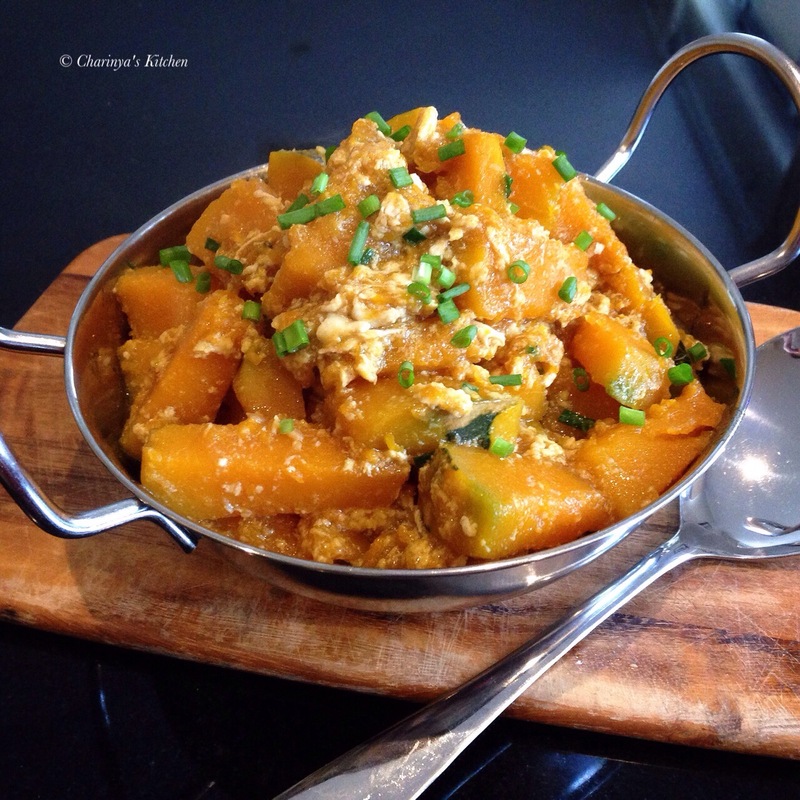 • Add stock to cover the pumpkin and leave it for around 10-15 minutes until the pumpkin is soft. • Taste and adjust if needed. • Turn the heat off and add spring onions.